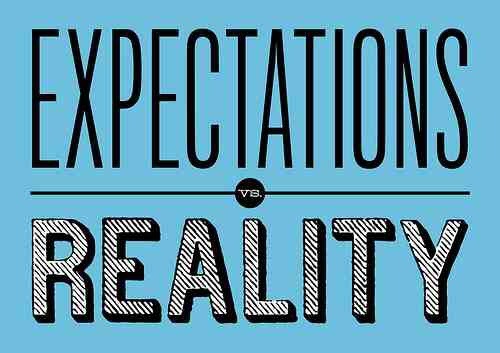 When Reality Crushes Expectations! – Journey of Emotions! Somedays, expectations are shattered by circumstances and somedays they are trampled under the feet of someone we love. The latter seems to be the toughest to take, at least for me. Harsh words fly, wounding instantly. Time hasn’t yet healed the last brutal encounter that still oozes pain and my emotional life is now draining quickly through both new and old afflictions. A foe that only moments ago was my friend now walks away unmoved by my tears, my pleas. Reality of human frailty may have obliterated my expectations, and the world may approve of my humanity rising in response, but my reality is in Jesus Christ and I desire to live up to His expectations, not those of man!